Because of the different personality types, stages of enlightenment and personal healing, the groups going to Peru with me are much smaller and carefully selected. 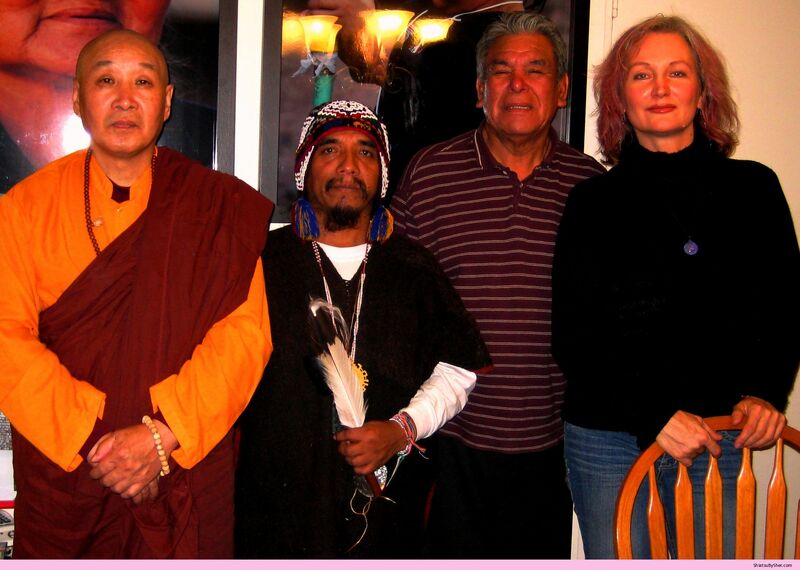 It was suggested to me by the shamans in Peru to only invite people that have done work with me, either by receiving treatments or partaking in ceremony. Not everyone is ready for this depth of healing and this can create indifferences and limitations within the group dynamics. When working with the energies and medicines of Peru, people become transparent as their deepest issues surface. When we cleanse and connect months before we leave for Peru, we understand our purpose and how to work with Unity Consciousness. Most participants going to Peru have shared sacred space in ceremony, through journeying and deep healing work in preparation for the experiences in Peru. Experienced and inexperienced Lightworkers come into ceremony and a deep connection is made before we begin. In ceremony we are able to go within to find our inner light bringing out our creativity and connecting with the absolute truth. Ceremonies help to open the pineal gland in a way that you may feel contact with nature, the elements and Divine Consciousness like you may not have experienced before. Deep internal cleansing removes old patterns in the personality to harmonize your flow of energy. Understand that you are here to receive, without barriers or judgment and with an open heart. The life of a shaman is often heard of as ‘not a good life and very difficult’. Many times they are alone as the issues and personalities of people can be quite a distraction from the healing world. The healing that shamans do personally, is in nature with Divine Consciousness or with other shamans or priests with similar experience or gifts. Being part of the drama does not fit into the role of a shaman and they must step back many times to re-center so as not to become involved. Sometimes friends and clients are lost because they are not ready to hear the truth or make the changes necessary for spiritual growth. Every time you look at the teacher to see where their faults are, you take away your own personal opportunity for enlightenment. Only those who are humble, open and very serious about their role in this lifetime will pass the test. I won’t be able to collude with your issues and needs so things will not be comfortable for you at times. When people move on to look for answers in other ways, they will be faced repeatedly with the same issue until it is cleared. So whether it happens through me or someone you find down the road, I pray you do not have to wait too long and the lessons are few. Here’s a little tip that’s taken me years to understand. As human beings we deal with Light and dark energies. The key to living a good life with as less stress as possible is to learn how to work with the negative (lower frequency) energies. We can’t ignore them or fear them but we can accept them. Once we are comfortable with all that life sends us as a lesson in our personal growth, it becomes easier. So really it doesn’t matter what is sent to us it’s how we handle it. When we try to create a perfect life without negative situations, we put a lot of energy and time into something unrealistic. We try to avoid people who make us upset – when they are our teachers. ‘When we are in pain we are in error’ as John Bradshaw would say. We always have a choice in how long we stay with negative energies. 2 minutes is all that is necessary and then we must move on in neutrality. If we stay there longer than 2 minutes then the dark energies can become part of us and interfere with our connection to Divine Consciousness. Sometimes it’s hard to clear those ‘other’ energies because they attach themselves in the tissue and the aura. I’m sure we've all heard most of this before but unless we actually live our life in this way, we can't fully understand. No one and no thing is more important to me than God/Universal Light/Creator therefore it's difficult to remove me from the Light. There are many ways to be one with the Light: through meditation, being in nature, in prayer, in ceremony, at sacred sites around the planet, through sacred animals and in dream time. Please honor this time because it is so very important, more than we really know!! !